'Southern Charm' Thomas Ravenel denies Sexual Assault, Slams Kathryn? 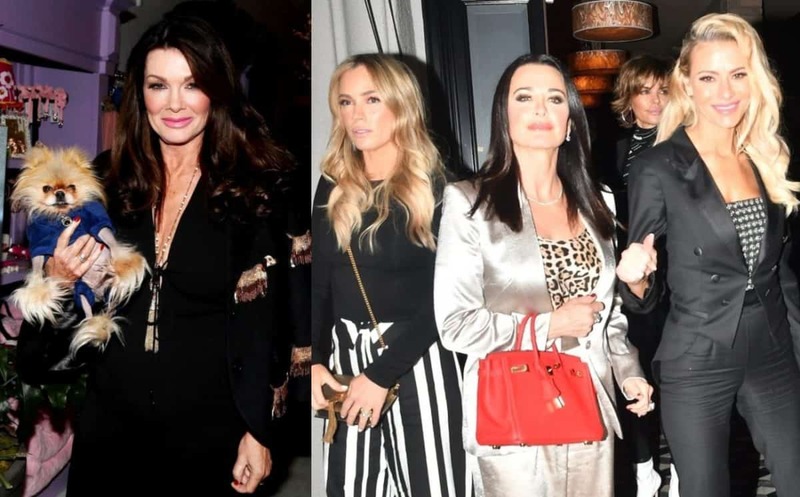 UPDATE: One of our smart readers pointed out that Thomas might have been referring to his ex-girlfriend Luzanne Otte in his tweets, an attorney from California who is reportedly considering suing him for defamation. The original story is below. 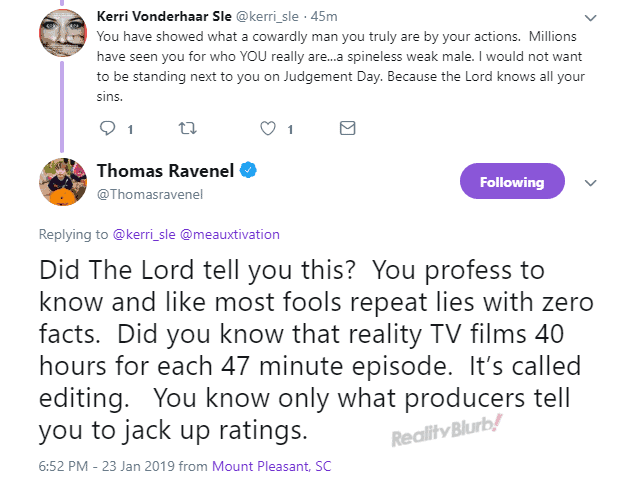 Thomas Ravenel appeared to take aim at his former girlfriend, Kathryn Dennis, on Twitter on Thursday as their custody battle over four-year-old Kensington and three-year-old St. Julien continues to heat up. It all started when Thomas seemingly took aim at Kathryn and suggested she was acting out due to rejection. “All this mess because a poor little rich, entitled girl couldn’t take being rejected for a girl who only attended ‘city college,’” he wrote on January 23. 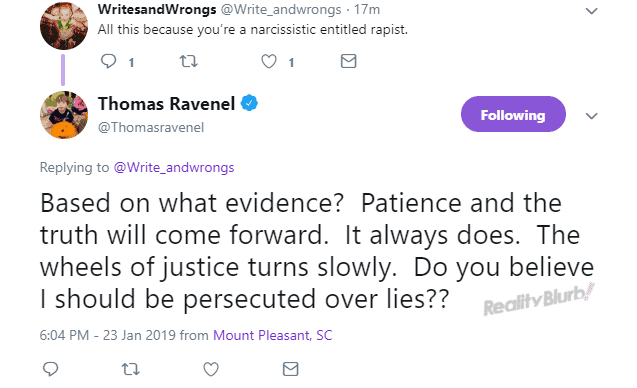 According to Thomas, many of his fans and followers online have a misinterpretation of him due to what they’ve seen on episodes of Southern Charm. Following his rant about the sexual assault allegations against him, and tweets that seemed to be about Kathryn, Thomas was flooded with backlash and he later denied the message was about her before deleting it entirely. In other news regarding Thomas and Kathryn, Kathryn has filed documents responding to Thomas’ “frivolous” claims against her, which include a hit and run and drug allegations. According to a report from The Blast, Kathryn filed court papers on January 17 in which she denied Thomas’ claims regarding a vehicle she hit near her home and revealed she has not failed a single drug test since a court order was put into place in 2017. She also denied Thomas’ statement that suggested she was buying drugs from her Southern Charm producers. “[It is] extremely sad and disturbing that the Defendant would fabricate an entire series of defamatory allegations in his” court documents, she continued. As for the leaked video of her supposed hit and run, Kathryn said the video was taken by a private investigator hired by Thomas who had been keeping an eye on her home for several months throughout 2018. Kathryn also accused Thomas of violating the restraining order that is in place and having a tracking device put on her vehicle. 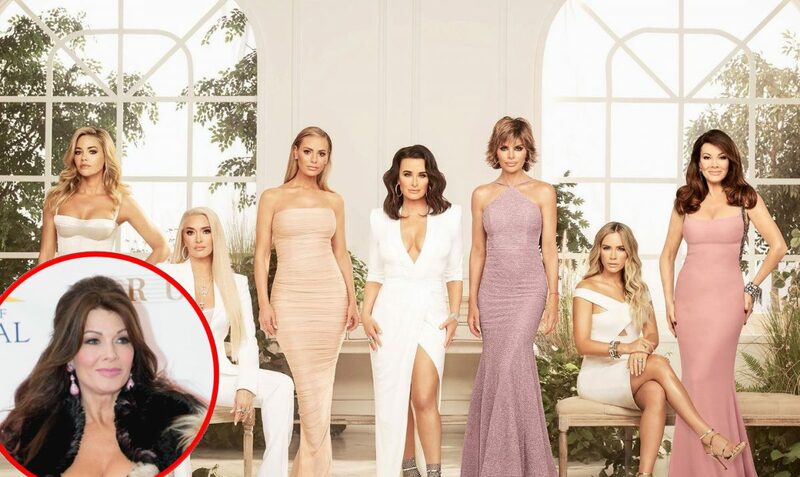 As Kathryn continues to press on in hopes of being awarded primary custody of her children, Thomas has filed a lawsuit against Bravo TV and his former Southern Charm producers, who he believes “encouraged” Kathryn to file for custody against him. He’s also requesting the footage of Kathryn and their kids discussing their court battle be cut from upcoming episodes of the show.